With Facebook facing criticism and its underwriter Morgan Stanley facing a lawsuit, the road ahead for both investors and the social network is looking somewhat uncertain. The social network, its founder Mark Zuckerberg and the banks leading its flotation are being sued by disgruntled shareholders. 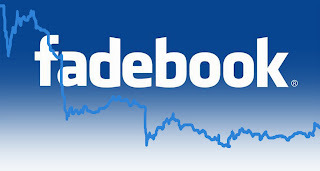 A writ, filed in a Manhattan court, alleges that Facebook's revised growth figures were not disclosed to all investors. Sam Rudman of Robbins Geller Rudman & Dowd LLP claims that his clients weren't given the full picture and lost money as a result. "Material information wasn't shared," Rudman insisted, "That's a violation of the securities laws." US financial regulators have already said Morgan Stanley may have questions to answer over the disclosure of information ahead of Friday's float. It is not the view of everyone however. The lead underwriter to Facebook said it had fully complied with the rules. Whether or not disgruntled investors have a case, the issue has cast a dark cloud over one of the most anticipated stock market listings of recent times. Even before the threats of legal action problems had arisen. The flotation was disrupted on Friday by technical glitches on the Nasdaq stock exchange. The share price has since slumped amid worries that the company was over-valued by advisers marketing the float. With an IPO price of $38, the stock opened higher at $42 but quickly tanked dropping at one point by nearly 18%. There was some recovery by Thursday but was still way below its launch price standing at $32.59 after three hours trading. CNN's Maggie Lake suggested that however the lawsuit turns out, the debacle was "another nail in the coffin for individual investors" which appeared to "favour big clients." "There is not a guaranteed big win on an IPO," she said, though said that in the long run Facebook's stock would probably stabilize. Her view was echoed by Henry Blodget of Business Insider who warned individual investors of the pitfalls. "Don't do it unless you're doing it for fun," Blodget said, "It is not level playing field." A dramatic fall after an IPO in itself is not uncommon. Amazon too tanked when it launched. But there is a clear difference between Facebook and the likes of Amazon. Facebook makes its money primarily through its users clicking advertisements, rather than the selling of a tangible product. There are several other platforms which also rely on such a business model. Google too relies on its users clicking ads and a client base who use its Adwords advertisements. But Google's ads may appear on any number of websites, including its own search engine and other products that it offers. This gives the likes of Google a clear advantage over the likes of Facebook. While Google makes money from ads appearing in millions of other locations, Facebook only gains revenue from clicks made on ads placed within its own website. Google also takes advantage of statistics drawn from its users who sign-in to their Google accounts as well as data collected from searches coming from specific IP addresses. By analysing this data Google can target specific advertisements to specific users. Thus ads are more likely to be relevant to the user, and in turn drawing more clicks. This is good for the advertiser who is more likely to see increased traffic to their website and in turn more sales. And of course Google profits as people are more likely to click ads that are relevant to them. Facebook also tries to target ads. But it relies on users constantly updating their stream and lots of clicks on the 'Like' button. However many people that use Facebook enter the site to catch up with friends latest activity or a quick chat with their online buddies. While some might visit the site daily, the time spent on Facebook may only extend to a few minutes. The problem for Facebook is further compounded by the fact that many users are now accessing the site through mobile apps which have fewer if any advertisements. It will not be easy for Facebook to turn things around. Adverts, especially intrusive ones, naturally turn people off, and should Facebook introduce ads to its mobile platform it may lose more users than it gains in advertising profit. With growing competition with the likes of Google+ and even Twitter, Facebook may have a rocky road ahead.